Linus Pauling harvesting abalone, 1963. Do you know, we have been here for one week, you and I, without seeing a single other person? This is the first time in our 40-odd years of marriage that this has happened. More than a refuge even, the ranch gradually emerged as a kind of paradise for the Paulings. One could reliably harvest ten abalone off the adjacent rocks at low tide, and Linus found that he greatly enjoyed harvesting these sea snails with his wife, pounding them shoreside to tenderize them for dinner. At the ranch, a horse and a goat kept the cattle company, and marine life including otters and sea lions frequented the beaches. The Paulings also enjoyed collaborating on landscaping chores at the ranch, a pleasure that continued for Linus even after a 1960 incident that resulted in poison oak rashes on both arms. Outside the old cabin at Deer Flat Ranch, 1962. Photo by Arthur Dubinsky. The Paulings at their ranch, 1964. Photo by Arthur Herzog. Though Pauling clearly understood the importance of leisure and relaxation, work was still never far from his mind on these visits, be it chemistry, medicine, or world affairs. By 1962, Pauling was writing the third edition of his successful textbook, College Chemistry, entirely at the ranch, typically devoting one week per month to the project while at the Old Cabin, undisturbed by the outside world. In the 1960s and 1970s, Pauling also spent his time at the ranch thinking about a wide range of problems in chemistry. Among these were the promotion energy of hydrogen atoms; dihedral angles in H2O2 and other molecular structures; the stability of the N2 molecule; electron bonds; antiferromagnetic theory; and much, much more. The bulk of Pauling’s research notebooks from this period consist of musings on current papers in chemistry representing significant problems, and he seemed to want to deduce the solutions to all of them, sitting in his cabin with nothing but a pen, paper, slide rule, and the crashing of the nearby waves. When the nuclear test ban treaty that Pauling had worked so hard to make a reality went into effect on October 10, 1963, Linus and Ava Helen were at the ranch with their close friends and fellow activists, Clifford and Virginia Durr. The couple had gathered at the ranch with the intent to open a bottle of champagne in celebration of the implementation of the treaty. Before they could pop the bubbly however, the Paulings’ ranch manager, Dale Haskin, arrived at the cabin saying that Linus and Ava Helen’s daughter Linda had called the ranger station trying to get ahold of them. Upon arriving at the station and returning her call (there were still no phone lines at Deer Flat Ranch at that time), Linda revealed to her father that it had just been announced that he was to receive the Nobel Peace Prize, and that it would be bestowed in Oslo in two months time. Linus spent the rest of the day at the ranger station receiving calls and granting interviews, becoming so busy that he and his guests forgot to open their champagne. 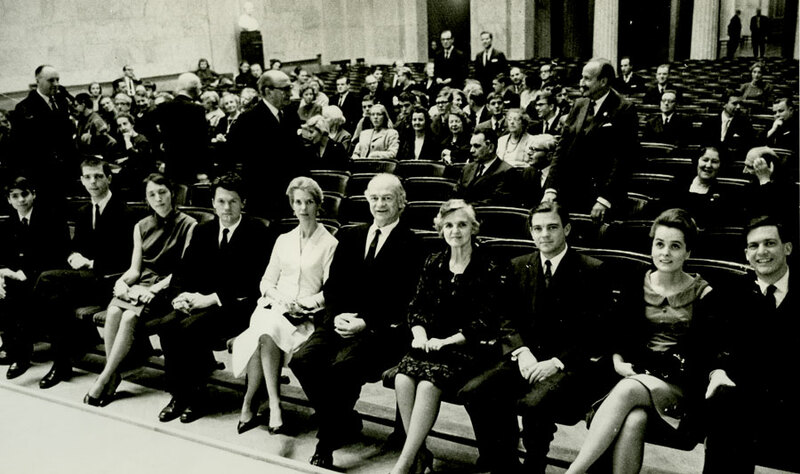 The Pauling family assembled prior to Linus Pauling’s Nobel Peace lecture, Oslo, Norway, December 10, 1963. 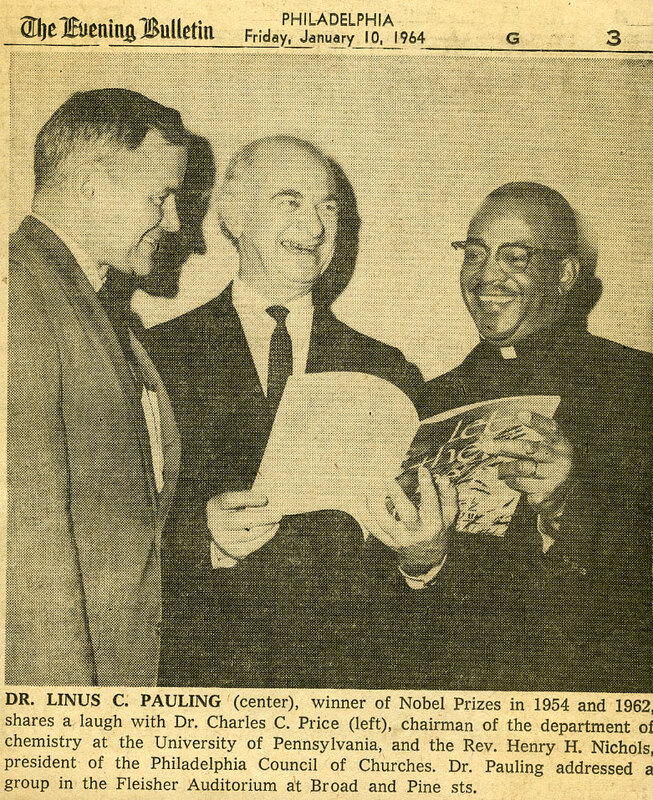 As we conclude our series on Pauling’s Nobel awards, we examine those who nominated him for the Nobel Peace Prize, which he received in 1963. Nominator data has been supplied by the Nobel Foundation through an online database. Interestingly enough, while Pauling was nominated at least seventy times for the Nobel Prize, only four of those were in support of his peace efforts. Details of the three men who put his name forward are included below. Helge Seip: Norwegian Member of Parliament representing the Liberal Party and later the Liberal People’s Party. At a young age he became involved in the Young Liberals, the youth wing of the Liberal Party. In 1948 he became a deputy member of the Liberal Party national board, advancing to regular board member in 1952, and he continued in this position until becoming national party leader in 1970. He was elected to the Parliament of Norway in Oslo in 1953 and as a MP could submit nominations for the Nobel Peace Prize. Kenneth M. Stampp: Professor of American history at the University of California, Berkeley, a professional standing which allowed him to nominate for Peace Prize. From the very beginning of his employment at Berkeley, he immersed himself in the political life of Berkeley. In his research, Stampp presented the views of slaves themselves alongside the conventional historical perspective of slave owners, which yielded a new and more complex picture of the institution of slavery than that which had previously been crafted by historians. He also argued against the notion that the decade after the Civil War was disastrous for the South – a time of vengefulness visited upon it by the North, and of rampant corruption and vindictive political maneuvering. Gunnar Garbo: Norwegian journalist, politician, ambassador, and member of Stortinget, the Norwegian Parliament. He wrote several books and numerous articles on political issues, in particular focusing on international politics and themes such as disarmament and the United Nations. From 1962 to 1973 he was a member of the Government’s Advisory Committee on Disarmament, the last three years of which he served as chairman. Throughout his political career he focused on foreign policy issues rather than domestic concerns, and in this he attempted to build bridges between eastern and western nations, advocating for mutual disarmament. When he left parliament in 1973, Garbo worked for the Institute of Peace Research and continued as chairman of the government’’s disarmament committee. Motivation for nomination: Pauling was nominated for his lectures and for initiating debates concerning the importance of eliminating or restricting weapons of mass destruction. 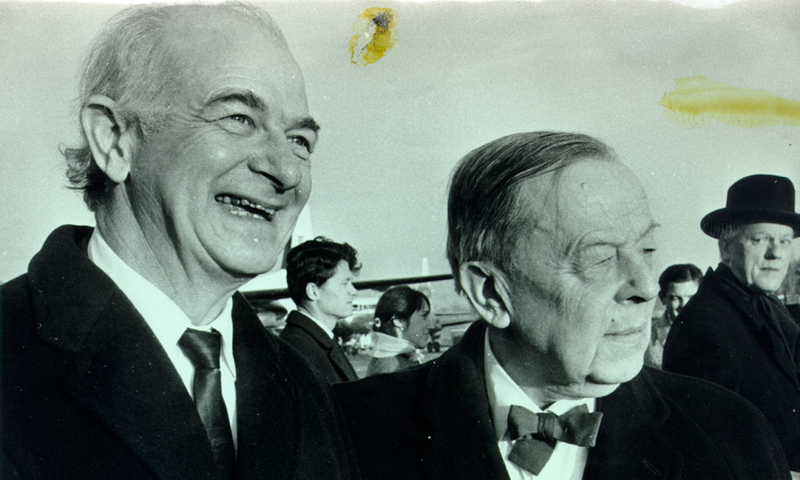 Linus Pauling is the only person who has received two unshared Nobel Prizes, one in Chemistry (1954) and another for Peace (1962, awarded in 1963). Three other individuals have won two Nobels, but they shared the prizes. These three additional double laureates are Marie Curie (also the first woman to win a Nobel Prize), Frederick Sanger and John Bardeen. Alfred Nobel was a Swedish chemist, engineer, industrialist, and businessman who developed a safe way to detonate dynamite. One of his primary strengths was his ability to combine the imaginative and explorative mind of the scientist and inventor with the forward thinking of the industrialist. Nobel was also very interested in social and peace-related issues, and held what many considered to be radical views in his era. He likewise maintained a great interest in literature and wrote his own poetry and dramatic works. Before he died, Nobel decided that the great wealth that he had accumulated over a lifetime of work should be used to endow “prizes to those who, during the preceding year, shall have conferred the greatest benefit to mankind.” The Nobel Prizes thus became an extension and a fulfillment of his life-long interests. After many years spent traveling and establishing laboratories in twenty different countries, Alfred Nobel died in San Remo, Italy, on December 10, 1896. He was sixty-three years old. shall constitute a fund, the interest on which shall be annually distributed in the form of prizes to those who, during the preceding year, shall have conferred the greatest benefit to mankind…which shall be apportioned as follows: one part to the person who shall have made the most important discovery or invention within the field of physics; one part to the person who shall have made the most important chemical discovery or improvement; one part to the person who shall have made the most important discovery within the domain of physiology or medicine; one part to the person who shall have produced in the field of literature the most outstanding work in an ideal direction; and one part to the person who shall have done the most or the best work for fraternity between nations, for the abolition or reduction of standing armies and for the holding and promotion of peace congresses. 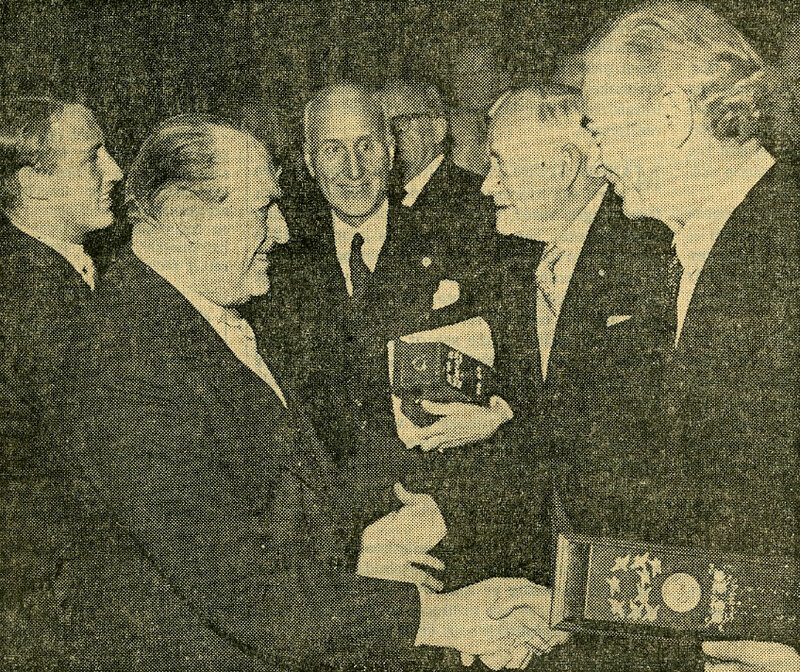 The prizes for physics and chemistry shall be awarded by the Swedish Academy of Sciences; that for physiology or medical works by the Karolinska Institute in Stockholm; that for literature by the Academy in Stockholm; and that for champions of peace by a committee of five persons to be elected by the Norwegian Storting. It is my express wish that in awarding the prizes, no consideration be given to the nationality of the candidates, but that the most worthy shall receive the prize, whether he be Scandinavian or not. 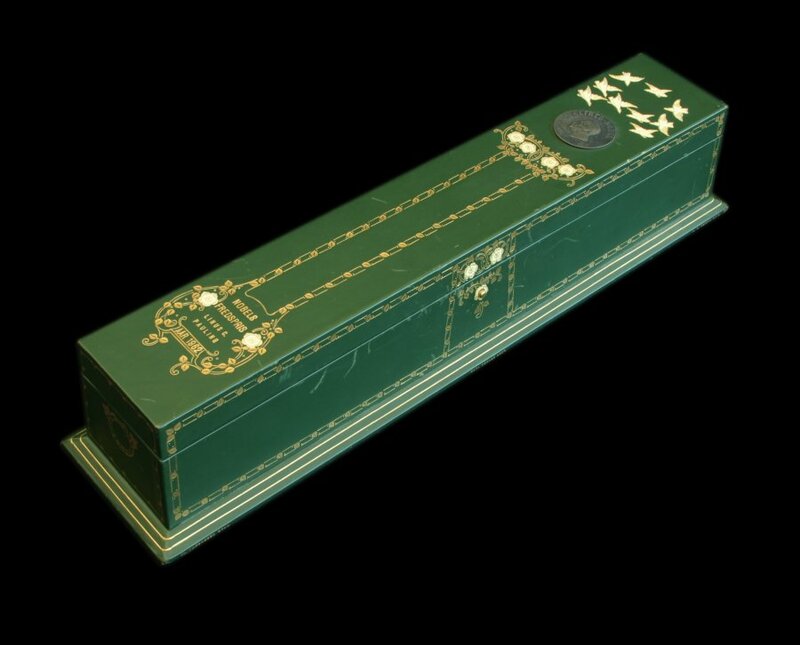 The executors of Nobel’s will were two young engineers, Ragnar Sohlman and Rudolf Lilljequist. 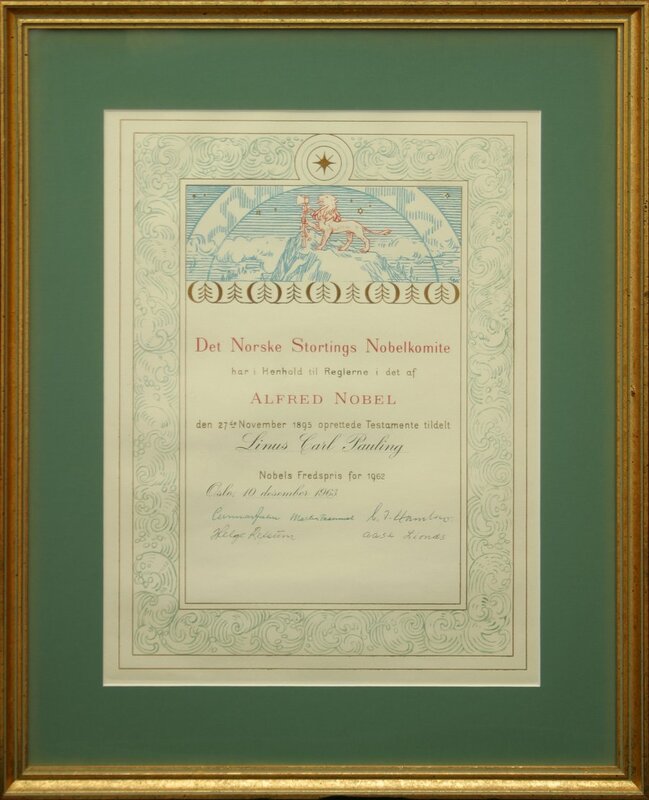 The duo set about forming the Nobel Foundation as an organization to take care of the financial assets left by Nobel for the purposes that he had stipulated, and to coordinate the work of the prize-awarding bodies. This process was not without its difficulties, especially since the will was contested by Nobel’s relatives and questioned by authorities in various countries. 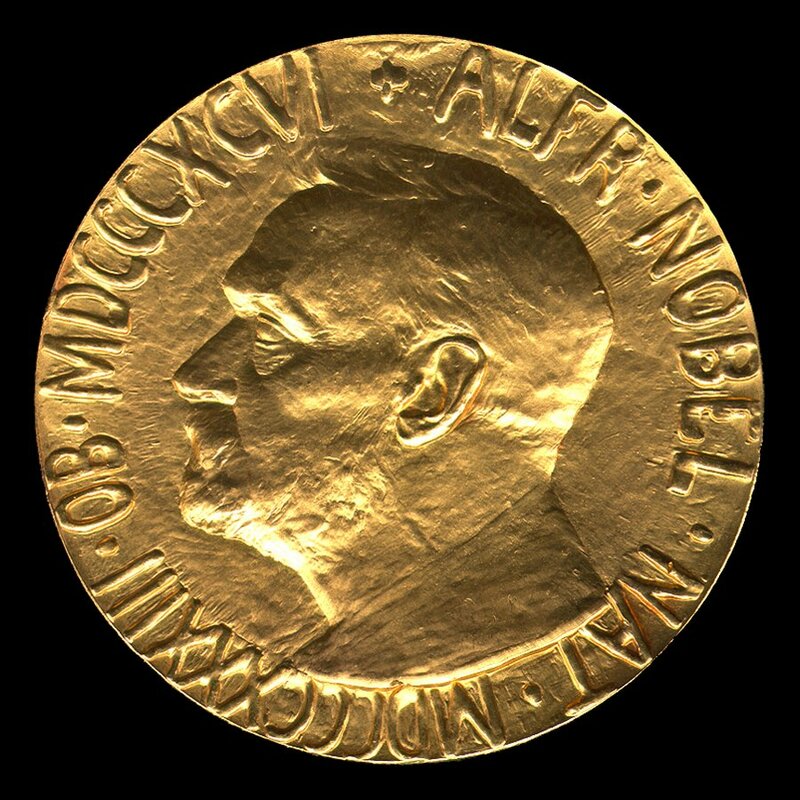 The main task of the Nobel Foundation is to safeguard the financial base of the Nobel Prizes, and to administer the work connected to the selection of the Nobel Laureates. Swedish and foreign members of the Royal Swedish Academy of Sciences. Members of the Nobel Committee for Chemistry and Physics. Previous Nobel Laureates in Chemistry or Physics. Permanent professors in Chemistry at universities and institutes of technology in Sweden, Denmark, Finland, Iceland, Norway, and the Karolinska Institute in Stockholm. Chair holders at six selected universities or colleges selected by the Academy of Science, which together ensure an adequate distribution of perspectives over different countries and centers of learning. The Academy may also invite nominations from other scientists whom they see fit to submit names. Nominations for the chemistry prize are returned to the Royal Swedish Academy of Sciences, where the five members of the Nobel Committee for Chemistry consult with a collection of experts to vet the names that they have received. The pool of names under consideration often number between 250-300 individuals, due to multiple nominators submitting the same names. After consulting with experts from March through May, the committee then puts together a report by the end of August. After the report is completed, the committee submits its recommendations for the prize to the Swedish Academy in September. These recommendations are discussed by members of the Chemistry Section of the Academy at two meetings. Nobel laureates are then chosen in early October through a majority vote. This vote is final and without appeal, and the winner is then announced. The Nobel laureates receive their prizes on December 10 at the Stockholm Concert Hall. The prize consists of a Nobel medal and diploma, as well as a document insuring the cash award associated with the prize. Members of national assemblies and governments of states. University rectors; professors of social sciences, history, philosophy, law, or theology; directors of peace research institutes and foreign policy institutes. Persons who have been awarded the Nobel Prize in Peace. Board members of organizations that have been awarded the Nobel Peace Prize. Active and former members of the Norwegian Nobel Committee. 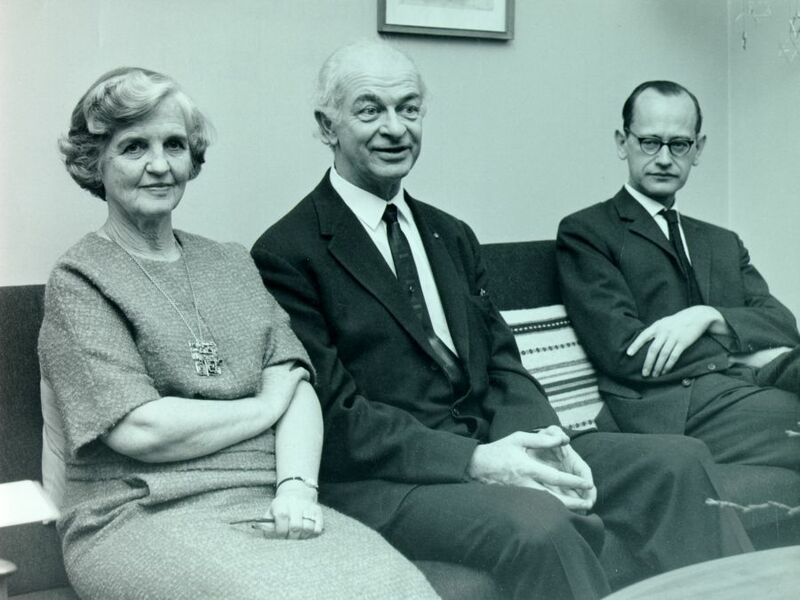 Former advisers to the Norwegian Nobel Committee. For the Peace prize, there is no standardized form for nominations due to an understanding of the many ways that a nominee’s qualities can be described. However, nominations must include the name of the candidate; an explanation as to why the person or organization is deemed worthy of the Nobel Peace Prize; and the name, title, and professional affiliation of the nominator. After receiving the nominations submitted before February 1, the Norwegian Nobel Committee prepares a short list of names by assessing the nominations’ validity and the candidates’ work. Nominations received after February 1 are included in the pool for the following year. At its first meeting, the Peace Prize committee’s permanent secretary presents the list of candidates, which can be reviewed and added to. After this, the nomination process is considered closed, and the short list is prepared. Through August, advisers review the short list, which usually consists of twenty to thirty names, and create reports detailing their evaluation of the candidates under consideration. Advisers can include Norwegian university professors maintaining broad and varied expertise in relevant subject areas. When necessary, reports are also requested from other Norwegian and foreign experts. The Nobel Committee examines these reports in order to determine the most appropriate candidate and decides if any more information is needed. In another difference from the Chemistry prize, the Peace Prize decision strives to be unanimous and is determined at the final meeting of the committee, held in October just before the prizes are announced. Just as with chemistry, the Peace Prize laureate is chosen and announced in early October, with the decision being final and without appeal. Though the ceremony for the Peace Prize takes place at City Hall in Oslo, Norway, it too is held on the tenth of December, the date that all Nobel awards are presented. 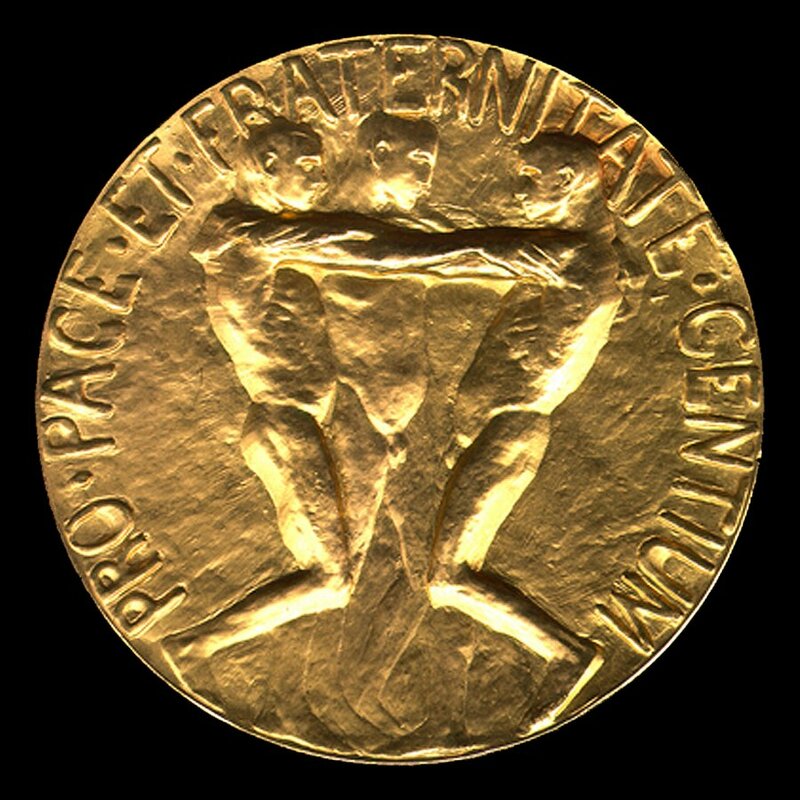 As with the chemistry laureates, recipients of the Peace Prize receive a medal and diploma, as well as a certificate confirming the prize amount. For both prizes, nomination information is made not available for until fifty years following a nomination. At Deer Flat Ranch, 1964. Arthur Herzog, photographer. There was a knock at the door. 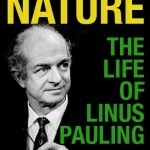 Linus Pauling, the 1954 Nobel Prize winner in chemistry, got up from the breakfast table to greet a forest ranger from the nearby Salmon Creek station in Big Sur, California. The weather was pleasant, typical for fall on this Thursday morning of October 10, 1963. “Good morning,” said the freshly shaven Pauling. White hair curled around his ears and at the nape of his neck. It had starting thinning at the temples years ago, and now at the age of 62, his receding hairline left the top of his head practically bald. 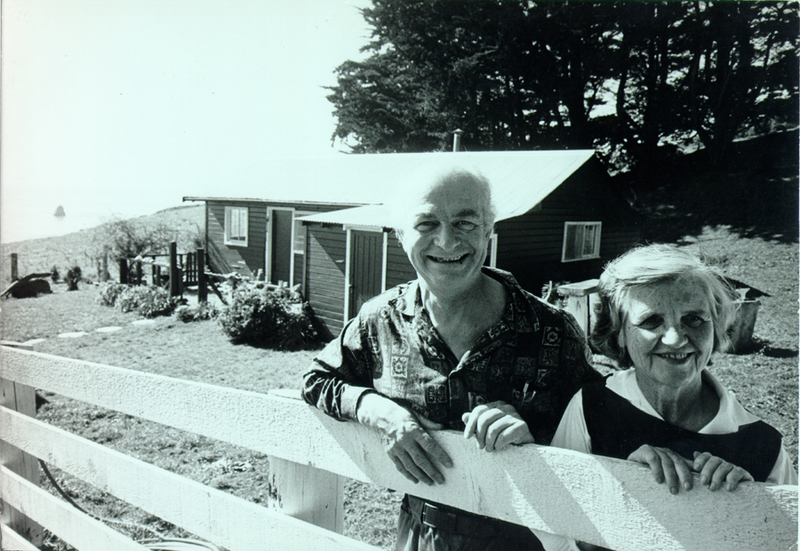 Pauling and his wife, Ava Helen, cherished the remoteness and wildness of their second home along the rugged coast of central California. Deer Flat Ranch was a 122-acre parcel of land overlooking the Pacific Ocean that they had purchased with the award money from Pauling’s Nobel Prize. With no electricity and no telephone, it was where they went to slow down from their usually hectic lecturing and travel schedules. “Do you know what about?” Fear flickered in Pauling’s usually twinkling blue eyes. The ranger knew why Linda had called and he had promised not to ruin the surprise. Pauling likely relayed the news to Ava Helen when he returned to the table where she sat eating breakfast with their two guests. A head taller than his petite wife, Pauling had found a match in determination and devotion when they’d met as undergraduate students in Corvallis, Oregon, in 1922. For the 40 years of their marriage, they’d lived in Pasadena. In his first 15 years there, Pauling had transitioned from Ph.D. student to chairman of the chemistry department at the California Institute of Technology. 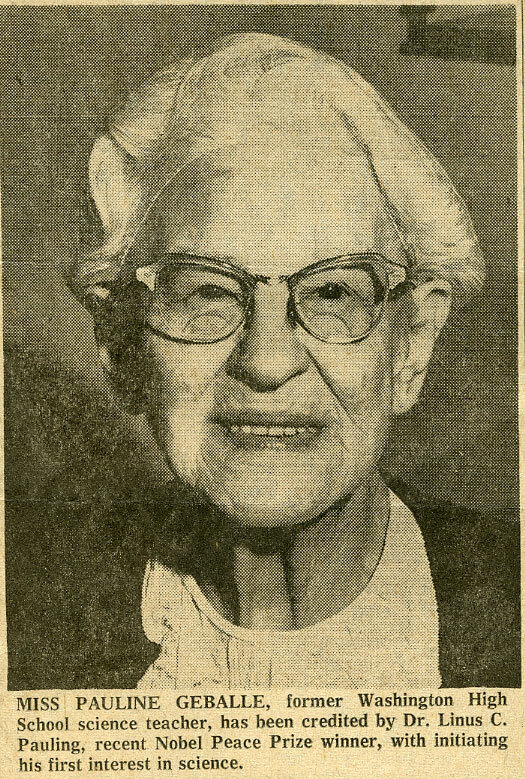 While he focused on his research and career, Ava Helen raised their four children. Now their children had families of their own. The car jostled as they drove the mile of bumpy dirt road between their home and the ranger station. It was unusual for one of their children to try to contact them in Big Sur, and they likely tried to figure out why Linda had called. “Daddy, have you heard the news?” Linda asked excitedly, when Pauling returned her call. Ava Helen looked on through cat-rimmed glasses. “You’ve been awarded the Nobel Peace Prize!” Pauling, stunned and unable to talk, passed the phone to his wife. 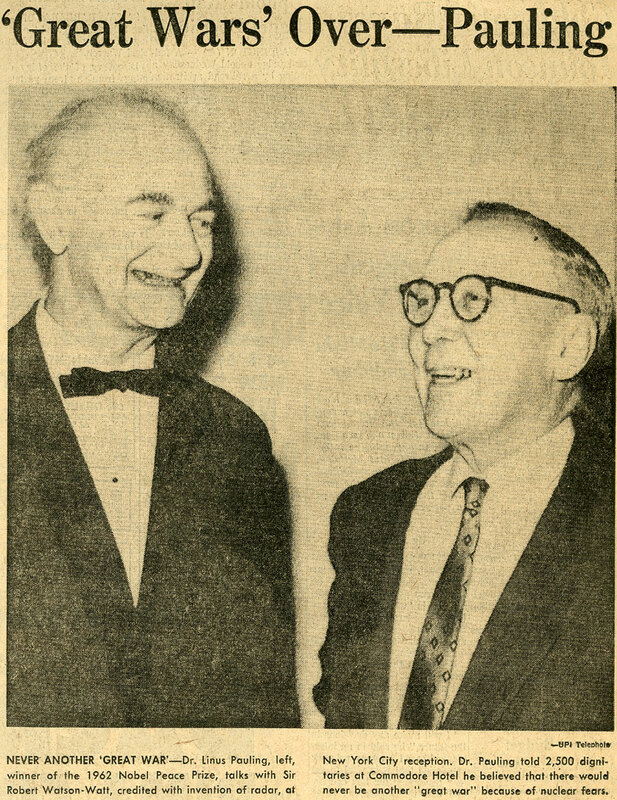 Pauling with Gunnar Jahn, ca. 1960s. 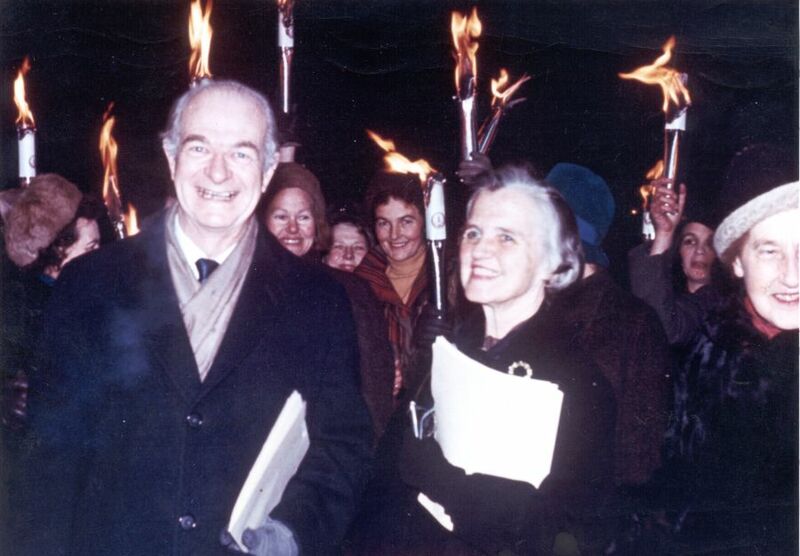 Linus Pauling, and his wife, Ava Helen, arrived at the Norwegian Nobel Institute for their 11:00 AM meeting with Gunnar Jahn. Pauling was likely dressed in a suit and tie. His hair curled around his ears and at the nape of his neck, and at 61 years of age, it had been thin on top for some time now. The petite Ava Helen stood a head shorter than him. Her spirit and conviction matched her husband’s and over thirty-nine and a half years of marriage they had come to see eye to eye on many civil rights and human rights issues. 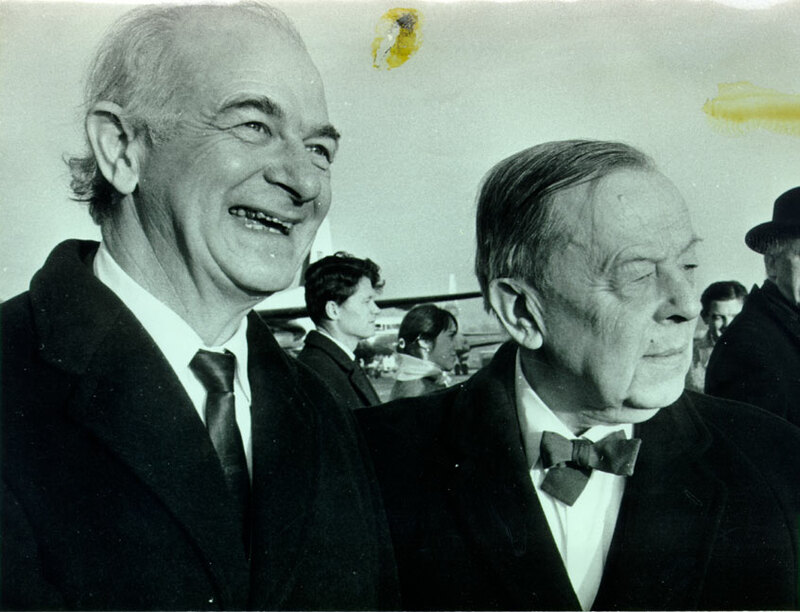 A year and a half had passed since the 1954 Nobel Prize winning chemist had visited in spring of ’61 to deliver the opening address for the Conference against the Spread of Nuclear Weapons. Gunnar had become a good friend of the Paulings in recent years. The two men held similar views about nuclear disarmament and Linus appreciated his words of encouragement. The couple was met by Gunnar’s secretary and taken to his office. As Chairman of the Norwegian Nobel Committee, he was one-fifth of the panel who determined the recipients for the Nobel Peace Prize each year. Everyone exchanged greetings before sitting down. Gunnar seemed to speak and move a little more slowly with each passing year. Eventually Gunnar explained why he had called them to his office. “Dr. Pauling, I tried to get the Committee to award the Nobel Peace Prize for 1962 to you.” Ava Helen and Linus were likely surprised to hear such confidential information. Perhaps Gunnar Jahn slowed down at two months shy of 79, but he still had moxie. During 1962 the Nobel Peace Prize was not awarded. 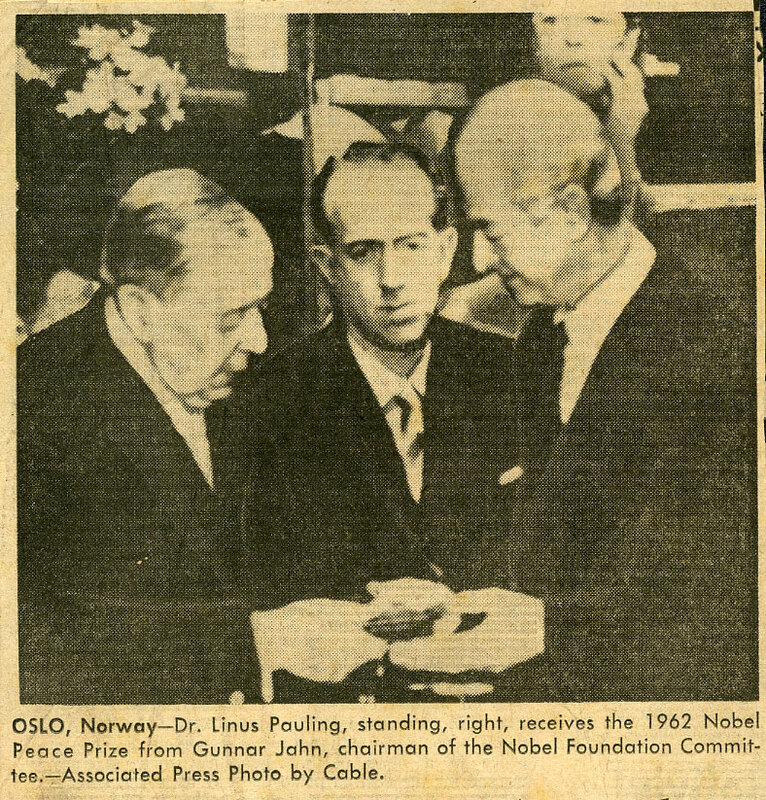 Nearly a year had passed between the day that the Paulings sat in Gunnar Jahn’s office and Pauling received his daughter’s phone call and learning that in 1963 he was being awarded the 1962 Nobel Peace Prize. 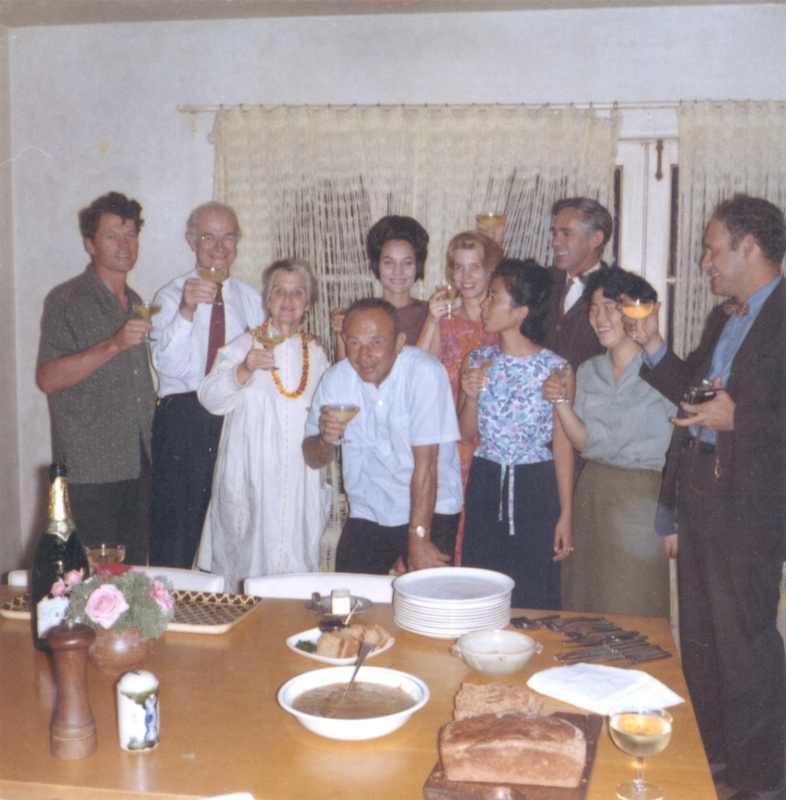 Linus and Ava Helen Pauling were planning to celebrate that day, but for a different reason. More than 200 nuclear tests by the United States and Soviet Union during 1961 and 1962 had forced the countries’ leaders into diplomatic talks about prohibiting nuclear weapons testing, finally facing an issue that had been in the public debates for decades. The product of those talks, the Limited Test Ban Treaty, went in to effect that same October day in 1963. The treaty allowed underground testing of nuclear weapons, yet outlawed testing in the atmosphere, outer space, and underwater. Pauling was one of many scientists who had been involved in the public debates around nuclear weapons testing, and he had worked for more than fifteen years to seek an international agreement of disarmament. 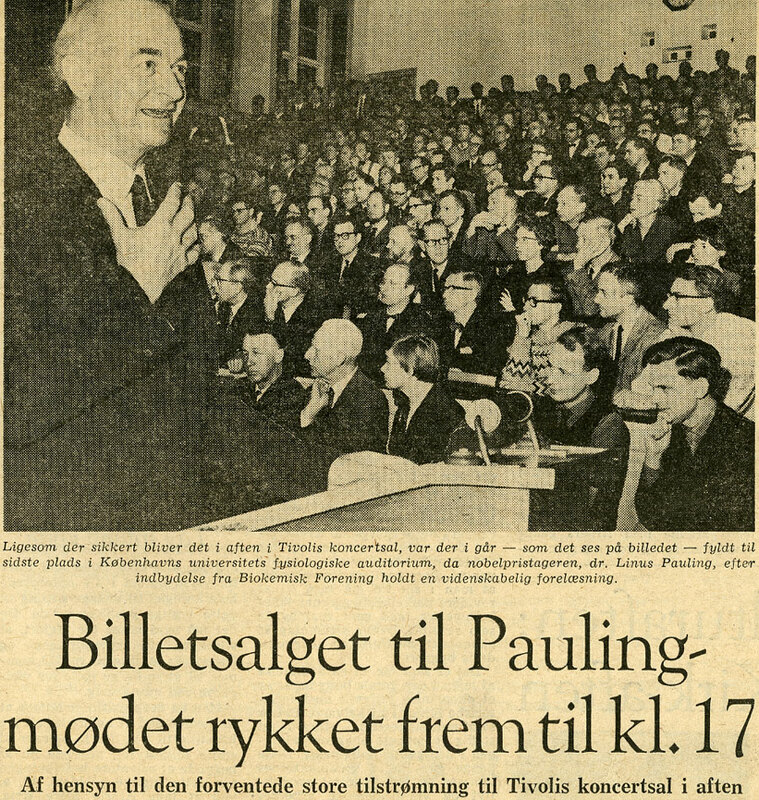 Enacting the Limited Test Ban Treaty was a first step toward the peaceful world that Pauling envisioned, and the Norwegian awards committee recognized his ceaseless political efforts with the Nobel Peace Prize. The phone at the ranger station in Big Sur rang with frequent calls, and Pauling responded to reporters’ questions about the prize for the next several hours. He and Ava Helen drove back to their ranch to collect some of their things and then decided to drive the roughly 300 miles to their home in Pasadena. In their rush to get home, they forgot the bottle of champagne they had planned to drink that night to celebrate the Limited Test Ban Treaty. Reporters went to the Pauling’s home in Pasadena. Not finding him there, many waited, ready to take pictures and ask questions. Pauling arrived ready too. Hours of interviews at the Salmon Creek Ranger Station, along with the long drive home, had given him time to craft responses to the questions reporters asked most. “Which of your two Nobel Prizes do you consider more significant?” asked a reporter from the Associated Press. Following his curiosity and conscience Pauling achieved high public recognition as both a scientist and political activist. His two unshared Nobel Prizes – the 1954 prize in chemistry and 1962 peace prize – attest to this as do the many other accolades he received throughout his life.